No, life doesn’t end at 30, or 40 – or, for a group of Alberta women living at the same nursing home, 100. The average life expectancy for Canadian women is 83 and 79 for men, according to Statistics Canada data from 2017. But seven women at Good Samaritan Stony Plain Care Centre in Stony Plain, Alta. have surpassed those expectations by nearly two decades. To celebrate, the care home held a celebration Thursday complete with cake, fancy hats and gifts. Care worker Linda Merrick says she’s never seen anything like it. 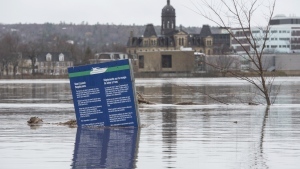 “In my whole career of 32 years, this is the first time ever that we’ve had this many people over 100 at the same time,” Merrick told CTV Edmonton. Shirley Bathgate, 100, is the youngest in the century year club. “I wonder how many more I’ll make?” she said. None of the women celebrated their birthday this week, but loved ones gathered anyway to mark the achievement. “It’s a celebration of life – their life,” said Carolyn Giesbrecht, the granddaughter of Hazel Kristensen, 101. Scientists have long known that women typically live longer than men. There is no one clear reason, but several studies have pointed to higher rates among men of heart disease, smoking, alcoholism, industrial accidents and lung cancer. Canada’s life expectancy is relatively high compared to other Western countries. In the U.S., life expectancies have actually dropped in recent years, with women at 81 years and men at 76. The reason for this drop, according to the U.S. Centers for Disease Control, is an increase in drug overdoses and suicides – or “diseases of despair,” as they’ve come to be known. Japan currently has the world’s highest life expectancy, but Spain is expected to be number one by 2040, according to a report published last year in the Lancet. By 2040, Spain is expected to have a life expectancy of 85.8 years, slightly edging Japan at 85.7 and Singapore at 85.4. The remaining top 10 is expected to include Switzerland, Portugal, Italy, Israel, France, Luxembourg, and Australia. 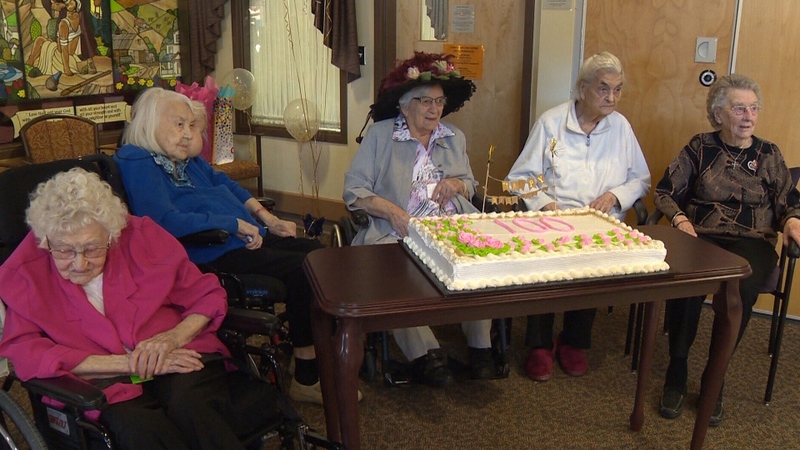 Five of the seven women at an Alberta nursing home over 100 gathered to celebrate on Thursday, March 21, 2019.